Castle Law is a general practice law firm based in the southwest suburbs of Chicago with offices in Joliet and Homer Glen. Our firm has attorneys skilled in all aspects of real estate, business law, wills, trusts and estate planning and family law, as well as a litigation practice with highly experienced lawyers with a proven track record of success in personal injury and criminal defense, DUI and all traffic offenses. 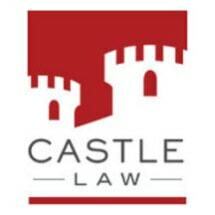 At Castle Law, each attorney concentrates in a specific area of law. This allows us to have a clear understanding of the specific legal issues that our clients are facing. Our clients will benefit from both the knowledge of our individual attorneys and also the combined capabilities of our law firm that can assist with most, if not all, of their business and personal needs.